I am a painter, a collaborator and am always reaching for a higher state of being. When I was just out of college, I drew a line between me and everyone else. I wanted everything to come from inside of me - no outside influences, not even my muse. Over time it became clear that I had drawn a very small me, and that the mystic, invisible parts of life, especially my muse, knew no such boundaries. These days I find myself locked in a virtual room with my muse and the only way out is to keep going until a whole series of paintings have been expressed. The art in this website represents decades of inspiration. You can see and read about my two most recent series, Break Through and Ethereals, on this website. My first breakthrough came while I was running the Art21 gallery in Palo Alto. I changed from painting abstracts and back-lit trees because suddenly and unexpectedly, I saw burqas as a symbol that many of us use to cover our true identities. I fell deeply into this series and didn't reemerge until the Triton Museum of Art in Santa Clara, California featured the whole series in a courageous exhibition. I grew up in a small midwestern factory town with summers on the family farm in northern Wisconsin. I started an art major in early '79 then turned around and took a gap year18 months later. In 1981, I found my love of math and science studies which led to my life in Silicon Valley from 1985 until present. 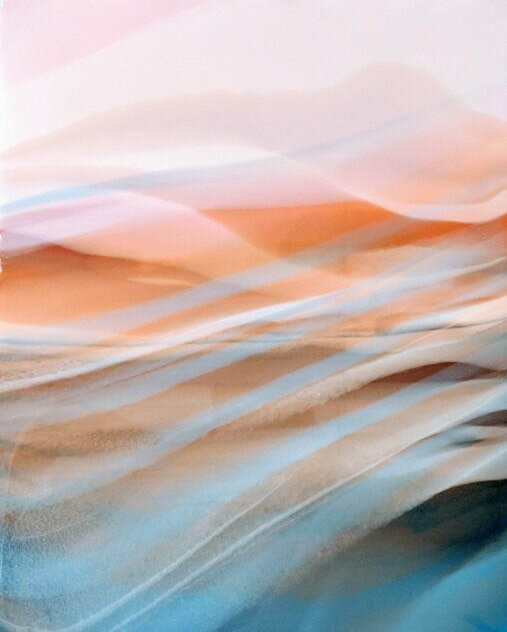 Starting in 1997 I opened and ran public art venues and outreach programs, such as Artistic Adventure in Menlo Park, Art21 Gallery in Palo Alto, and a studio in the Chelsea Art Building in New York City. I also produced and hosted Talk Art, a cable television show. Click here to watch an episode of Silicon Creativity September 2017. Today, I paint in my an art studio, designed and built inside my home.​ This is where I also host the Sunday Salon generally on the 4th Sunday of each month. I organized the Honoring Women's Rights conference in 2012 to celebrate the 40th anniversary of Women's Caucus for Art. I kept the ball rolling and kept going to, volunteered, organized, and ran a few more social change and political consciousness raising events. Here are a few choice videos and images from those days. 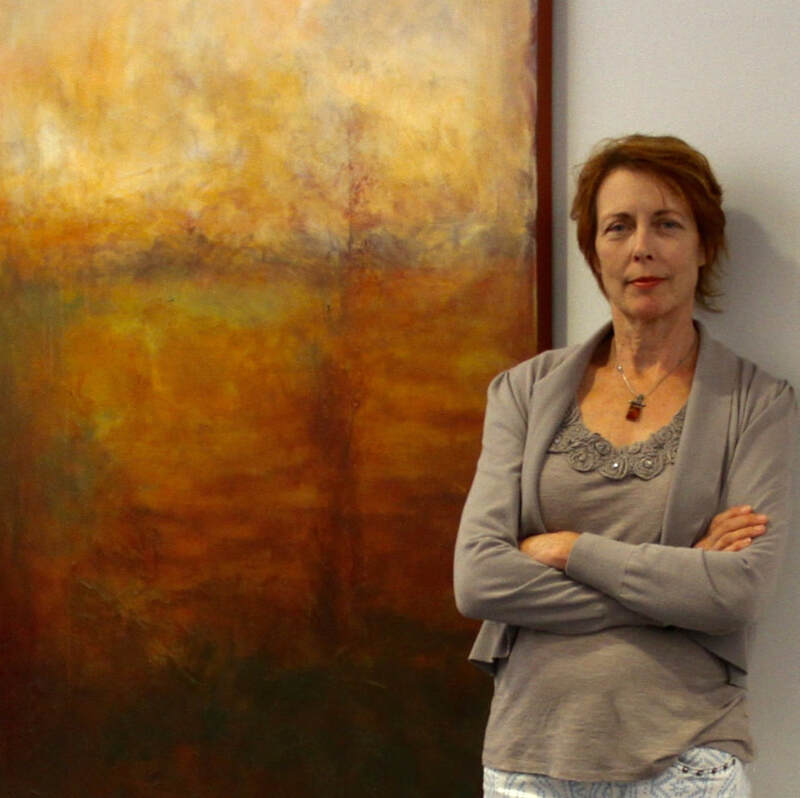 artist Susan Kraft next to "Dreams"